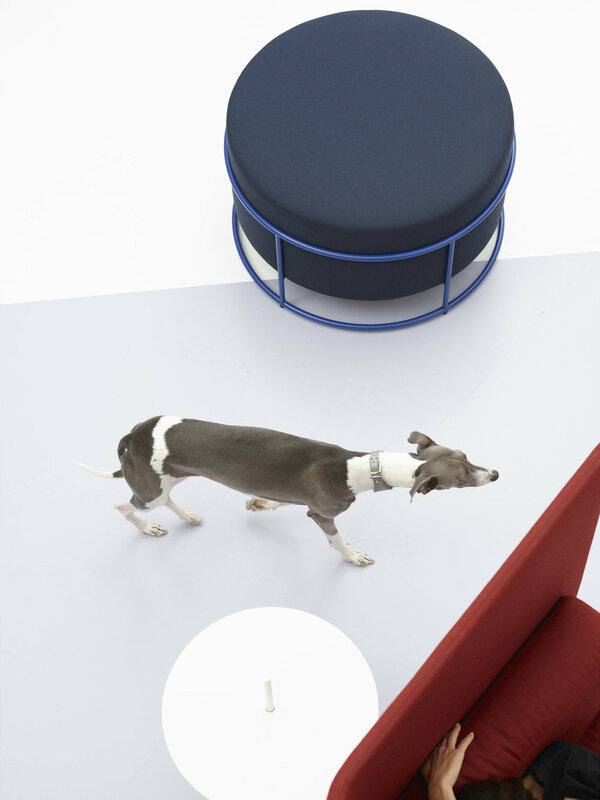 Four legs with rollers turn the small stool into the office roundabout - an increadlibly practical colleague. The perfect additive for a mobile working environment. Roll around and go racing. Stack and put things in order. Drop is the name of a whole family consisting of a mobile roller stool, a stackable stool and a larger pouf. The small components are mobile, while the large pouf forms a meeting point in the office. What they all have in common is that they are laid-back. A round, fully visible steel frame enfolds each upholstered body. Tone in tone.